The Slow Mo Guys shows you how insanely quick the inside of a DSLR camera moves when it takes a picture, by filming it at 10,000 fps. 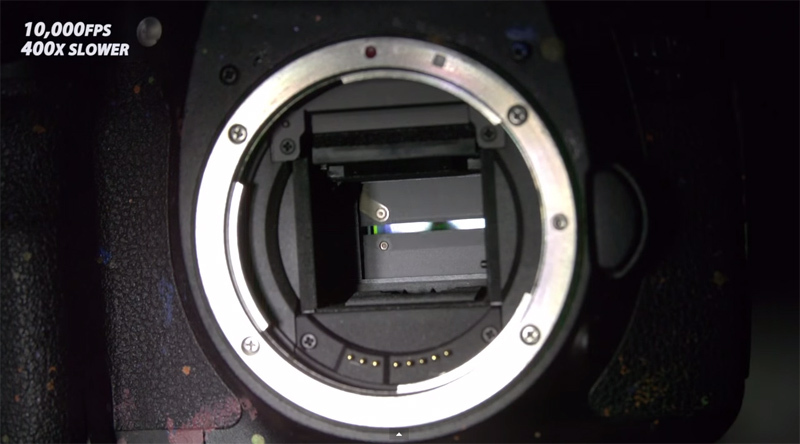 The camera shown is a Canon 7D and the video shows you how a rolling shutter works. Video was shot with a Phantom Flex at 10,000 fps.